What is Structural Composite Lumber? Structural composite lumber (SCL) is a family of engineered wood products created by layering dried and graded wood veneers, strands or flakes with moisture-resistant adhesive into blocks of material known as billets, which are subsequently resawn into specified sizes. SCL includes laminated veneer lumber (LVL), parallel strand lumber (PSL), laminated strand lumber (LSL) and oriented strand lumber (OSL). The term SCL was coined to capture a wide array of products, some of which are proprietary or unique to one manufacturer. In SCL billets, the grain of each layer of veneer or flakes runs primarily in the same direction. SCL is a solid, highly predictable, and uniform engineered wood product that is sawn to consistent sizes and is virtually free from warping and splitting. 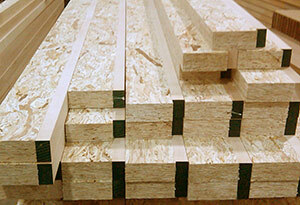 Some APA member manufacturers distribute structural composite lumber for use in concrete forming applications. These products are often used for beams, wales, and shoring. Design and installation information can be found on the manufacturers' websites. SCL is straight and 100% usable - no rejected pieces and no culling labor. SCL is solid, uniform and dimensionally stable, making it ideal for all kinds of industrial uses. Consistent, dry moisture content eliminates warped, crooked and bowed parts. 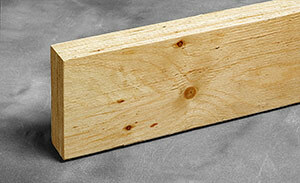 Exempt from ISPM 15 regulations and does not require heat treatment or fumigation. Thicknesses from 3/4 inches to as much as 4 inches are available “out of the press” and can be increased to as much as 48 inches through secondary processing. Strength, density and layup configurations can be adjusted to meet the end-use needs and budget. 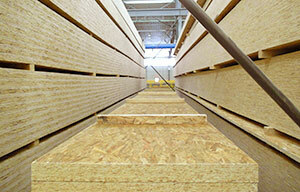 Stable pricing, not subject to price volatility common in solid lumber markets. Sourced from sustainably managed North American forests. APA-trademarked SCL products are exempt from the leading formaldehyde emission standards and regulations. Learn more.